The number of decentralized applications deployed on the Tron blockchain increased to more than 180, notes Tron in its weekly Dapp report. The Tron Foundation released its last dApp weekly report ahead of the Chinese Lunar Year, suggesting that the number of decentralized applications running on its network has increased to over 180 from 0 in the past year. Seven dApp stores have also created dedicated sections for popular Tron Dapps, according to the report for the week ending February 2. The new stores supporting dedicated Tron dApp sections are- Dapp.bird, midu.store, dapp.com, Spiderstore, Dappreview, Dappradar, and Tron.dapp. According to DappRadar, the top 30 decentralized applications were on Tron and EOS. Ethereum did not make it to the list. Throughout the month, Tron and EOS reached similar volumes on their Dapps. However, on January 16, Tron’s volume peaked and reached 328% of EOS volume for the same day. Tron noted that although its virtual machine and smart contracts were released later that EOS, it is quickly creating a competitive dApp ecosystem. Tron launched a collaboration project with PROCHAIN called Tron Candy Box. Users can connect with this game using their Math Wallet, VenaPi wallet or bitkeep wallet to receive Tron candies for free. Tron introduced a new FOMO-based game on the network called TRONCRAFT on January 30. It not only maintains the old FOMO game vibes but also gives users a chance to win a grand prize. Those who participate in the game during the hour before the last transaction gets a chance to win the grand prize which could be triggered at any time within the hour. Players that join early will enjoy a higher percentage of dividends. Also, the referral reward will be doubled during the first round of the game. Another DApp soon to be introduced is BCLounge, a new fast-paced game for multi-player battles. Also, an MMORPG game called Tron Legends was introduced in the report. 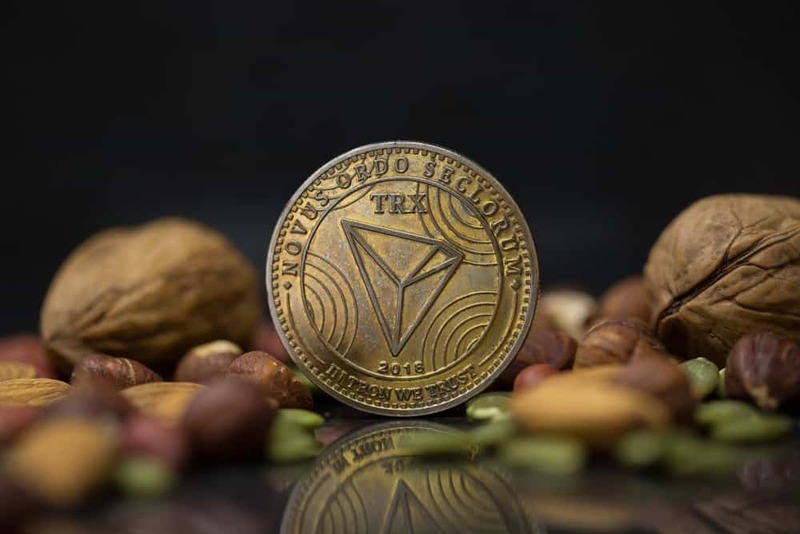 It combines the classic game Legend with the unique features of the Tron network. Finally, the report introduced Crazy Dog, the first prize winner of the Tron Accelerator program. The gambling game involves choosing which dog will win the race with those who make a correct bet winning the rewards. The comprehensive game comes with a dividend model, whitepaper, broadcast system, and a messaging system.